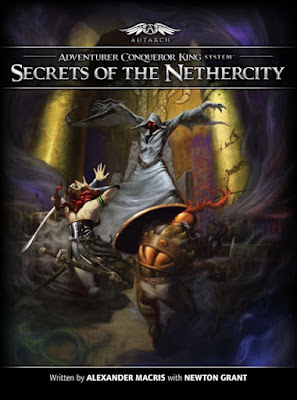 "An epic "kilodungeon" with 240 location entries spread across 20 different dungeon sub-regions that can be explored in a nonlinear fashion over the course of your campaign." 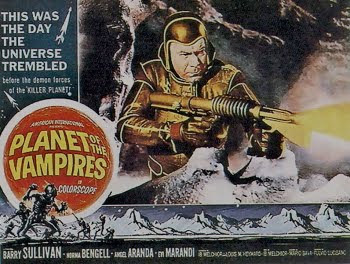 The concept is much older then that however & it goes all the way back to Judge's Guild product lines. 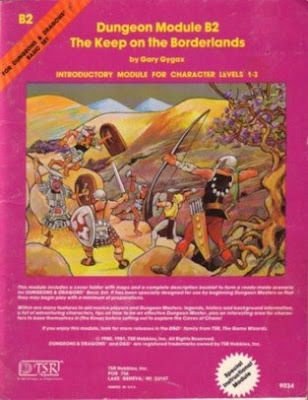 No scratch that, the concept belonged to Gary Gygax's Keep On The Borderlands . The idea of the adventurer base campaign location being right off the adventure location dungeon is a homage callback to B2 . "A home base (the city of Cyfaraun) for use by your adventurers in between dungeon delves. The city is presented in summary format in the adventure itself, and the city and the sewers below it are presented in more detail in a supplement called Capital of the Borderlands (available at $20 and above pledge level). With every bonus goal, we'll expand the city and sewer levels!" But its more then just a simple homage, when the PC's enter the lower levels of a dungeon such as the Caves of Chaos or even your home campaign they're treading on the entrances to the Underworld. I mentioned the apocalpytic events of opening of mega dungeons the other day on this blog. That wasn't by accident folks. The fact is that many early old school dungeons had levels or rooms that I've played in connected with the Underworld. 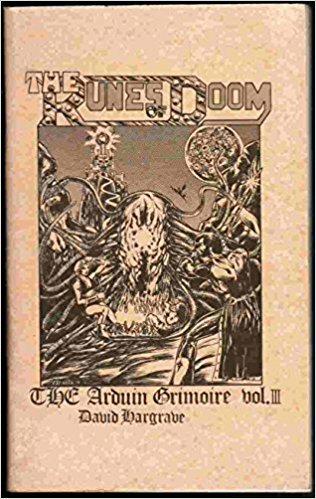 In Dave Hargraves three Arduin books you've got the twenty two Hells & they're ripe with fallen cities, ancient ruins of alien civilizations, etc. The Lovecraft circle of writers including Clark Ashton Smith all cite to varying degrees different aspects of the Underworld. H.P. Lovecraft has his own version of the Underworld & in Lovecraft's novella The Dream-Quest of Unknown Kadath (1926) we get a glimpse of it.But there were hints of the alien nature of the Underworld going all the way back to Edgar Allen Poe & even older writers of weird fiction. But all of these hint at the Fall of ancient & alien civilizations predating mankind but whose survivals live on in our dreams. Could it be that dungeons are actually sinks of evil which connect to these alien places attracting greater evil. A sort of ecology of madness & depravity which must be cleaned out from time to time lest the surrounding countryside & urban areas be destroyed?! 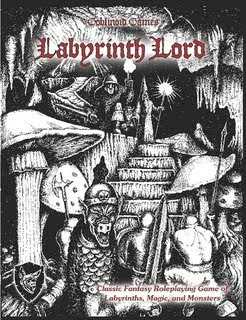 We get hints of this in Labyrinth Lord's Realms of Crawling Chaos but elsewhere in the Labyrinth Lord rules set. This actually goes back to original Dungeons & Dragons even the Basic/Expert rules have it with. Make no mistake the mythos of H.P Lovecraft is chaos, horror, & insanity unbound, its the evil outside the door & its scratching to come in. 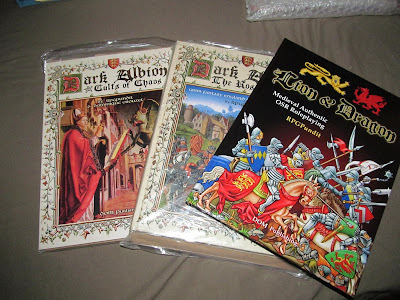 Rpg Pundit's Dark Albion setting & Dark Albion's Cults of Chaos are perfect for rooting out & destroying the mythos in an inquisitor style game. 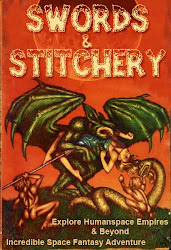 All of this ties in perfectly with the dream worlds of Lord Dunsany where the Underworld is used to extremely good effect and he's essential reading for anyone looking to create solid dungeon worlds. There are always hints of an ancient & forgotten civilization which is often alien & corrupt but don't give out too much detail during adventures let the players fill in the details. The hint of chaos is in the monsters & dungeon surroundings, again the adventure location is everything. The Lovecraft circle of writers isn't the end all. Be sure to expand your scope into other writers to provide you the DM with everything. Spare the treasure in favor of the mundane as well was the fantastic. Don't over indudge the players in this setting.